Big Blue Roofing is your #1 contractor for Roof Replacement, Shingle Repair, Storm Damage Repair, Gutters, Siding, Vinyl Wrap, Painting, and more! Ask us about our 0% Financing with approved credit, or our many other financing options. 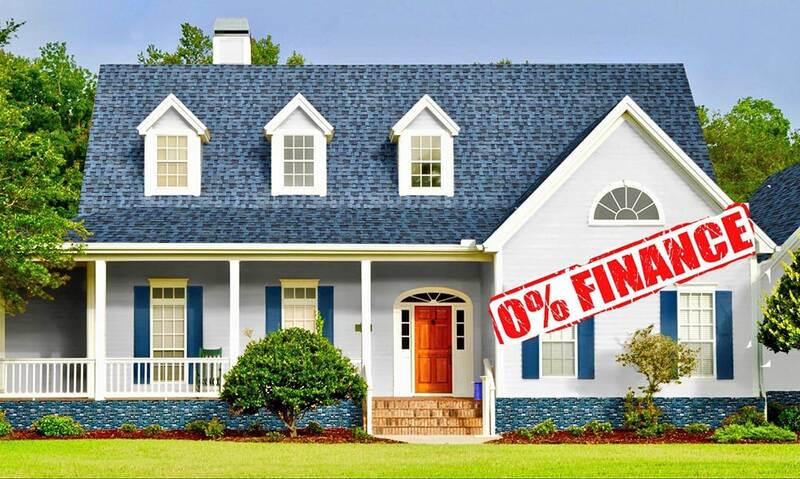 Every Big Blue Roofing job is licensed and insured by a million dollar policy. Big Blue Roofing specializes in full roof replacement by an expert team led by a project manager. Every roof replacement gets RhinoRoof Synthetic Underlayment. This is an upgrade that will cost nothing to the homeowner. 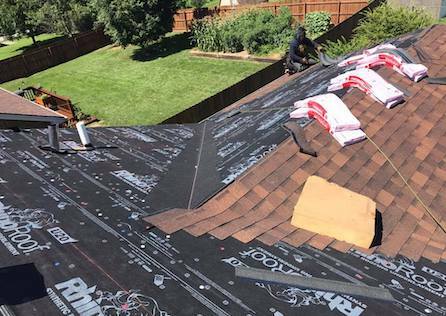 In addition to each RhinoRoof underlayment, Big Blue Roofing is partnered with Owens Corning to provide the highest quality roofing materials for your home. Roofs can develop leaks years before the entire roof needs replacing. 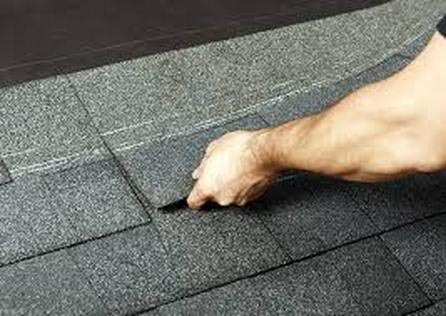 These leaks are often caused by damage to that specific area, such as cracked or missing shingles. If you notice your ceiling has water damage or staining, chances are you have damaged shingles or perhaps flashing work gone bad. We can repair these at a reasonable cost, thus avoiding the heavy expense of replacing your roof. Do you have leaks on your ceiling around the fireplace? 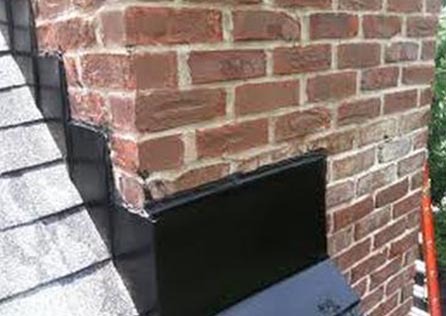 Let us inspect your chimney flashing to determine if that is the cause of your leak. Flashing typically can last anywhere from 10-15 years depending on the quality and type of material used. Anytime we do a a flashing repair, we always use an Ice and Water Shield barrier as a backup to your flashing, giving you that extra peace of mind. Big Blue Roofing not only specializes in roofing projects, but also in full custom gutter replacement. 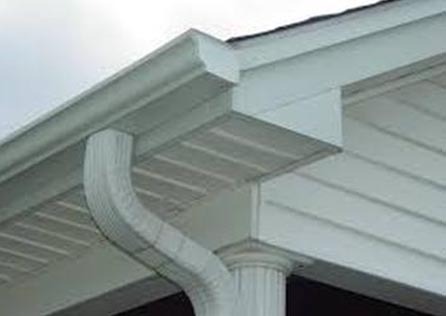 We can install 5 and 6 inch seamless gutters and downspouts. You will find that our pricing is hard to beat! We fabricate all of our gutters to size at your property, thus eliminating the need to measure and cut off site, which improves accuracy and time. Our gutters carry the same satisfaction guarantee as our other services. The importance of keeping your gutters clean cannot be overemphasized! A clogged gutter can present problems like Leaks or flooding, Moss or mold buildup, Wood root development, Mosquito and pest infiltration, Ice damming during winter, and more. 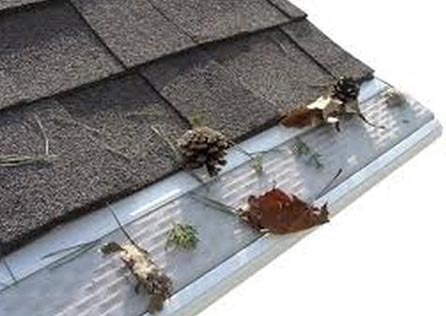 The best way to avoid this problem is by installing leaf guards in your gutters. We use a heavy duty gauge aluminum guards that carry a lifetime manufacture warranty! Many homeowners will have ceiling or wall staining due to a leaking roof. Your insurance company will compensate you for such damages if they replace your roof! Homeowners are relieved and happy to know that we can take care of this need for them without them having to shop around, and deal with other contractors on their property. 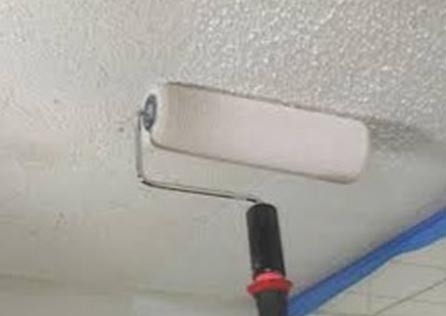 Our painters are professional, clean, and insured! Can you put a price tag on that?